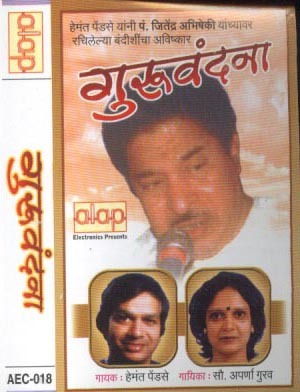 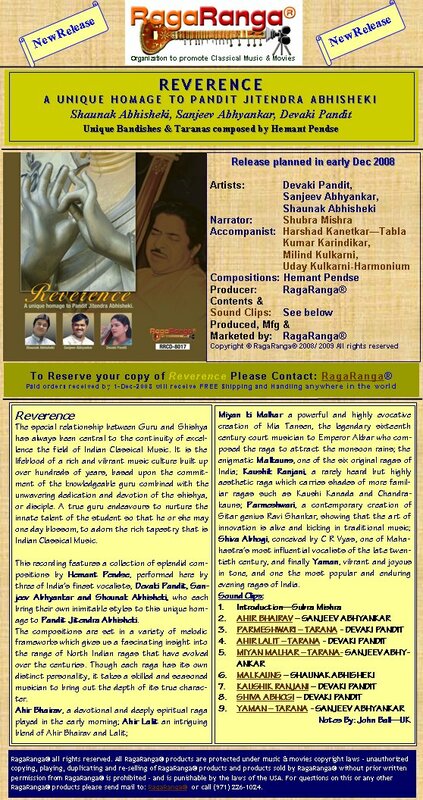 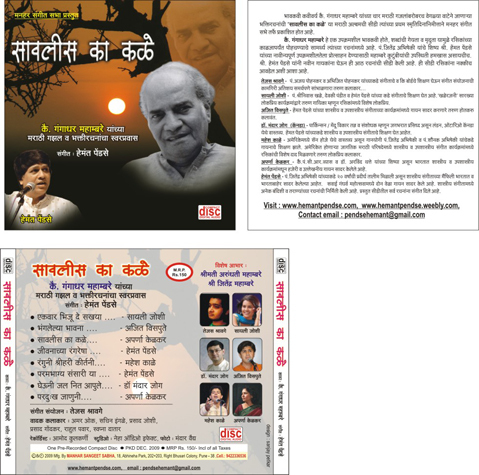 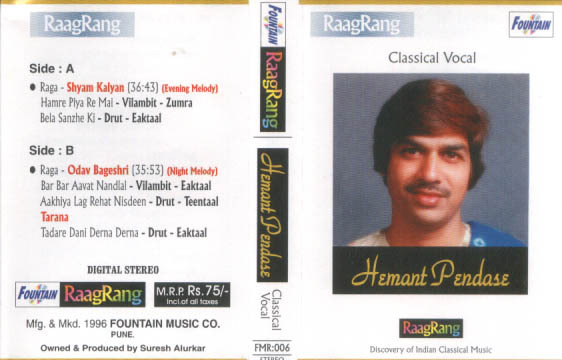 This recording features collection of splendid compositions by pt.Hemant Pendse, performed here by three of India's finest vocalists, Devki Pandit, Sanjeev Abhyankar & Shounak Abhisheki. 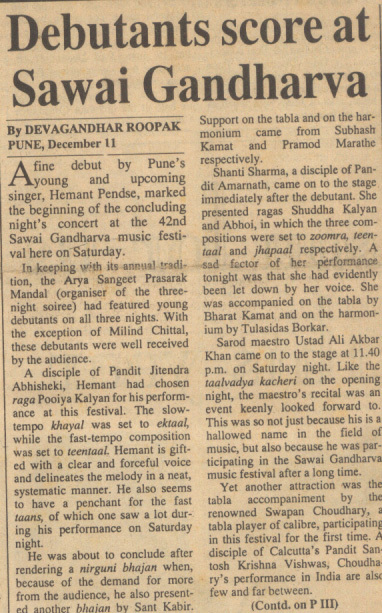 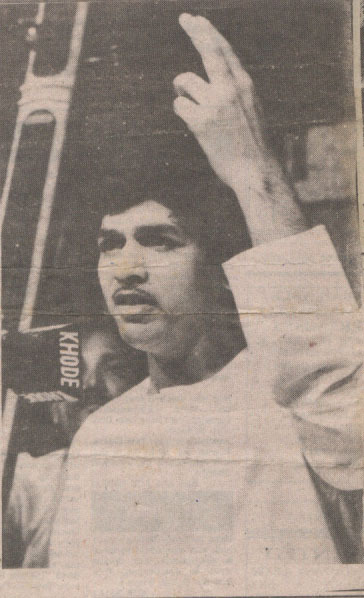 Hemant Pendse's vocal recital was the crowning glory of the festival. 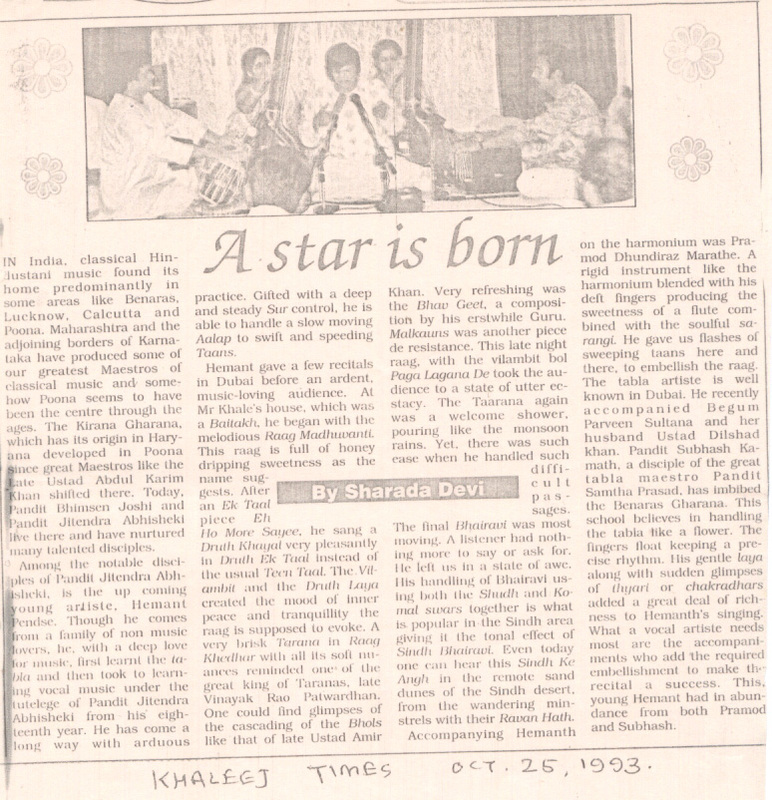 He has a broad and weighty voice more mature than due for his young age.